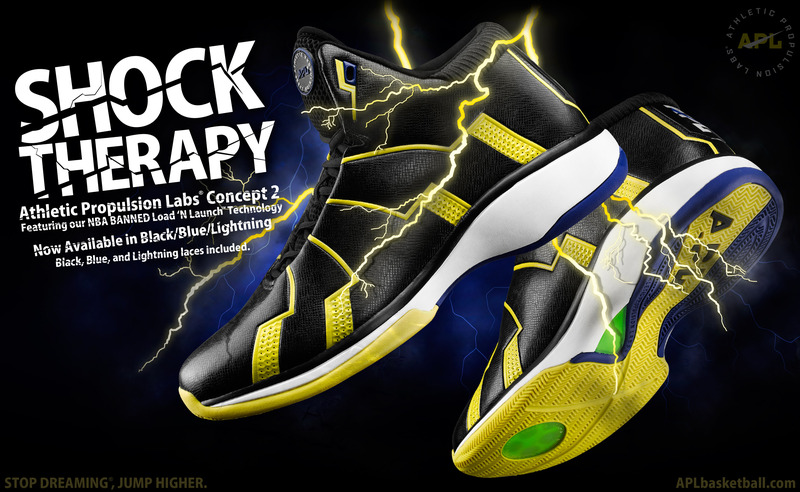 Athletic Propulsion Labs® released today the latest edition of the highly successful APL® Concept 2 line in an arresting Black/Blue/Lightning colorway dubbed “SHOCK THERAPY”. 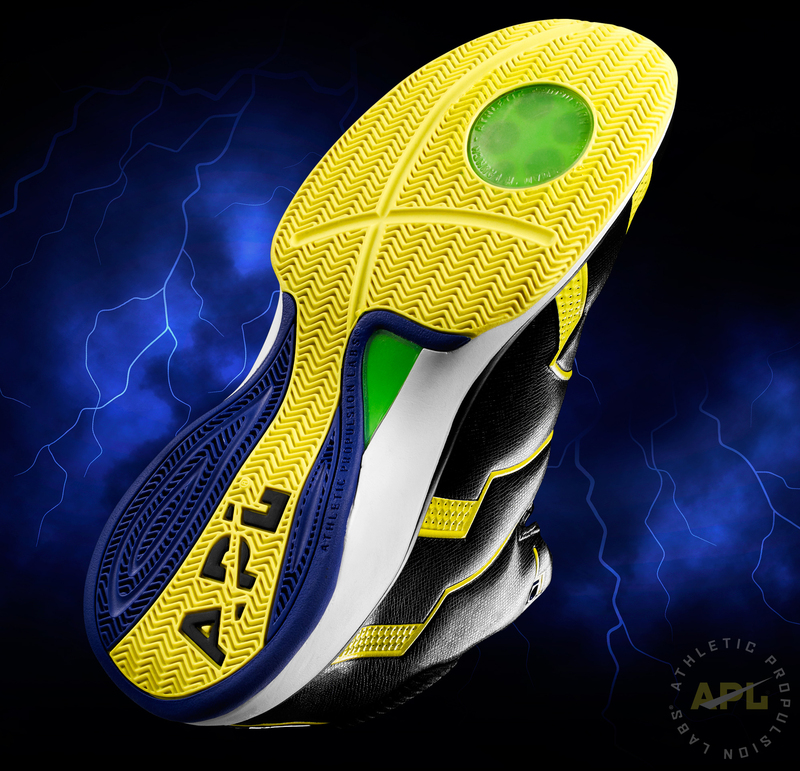 With the newest version of the APL Concept 2, the company continues its hallmark tradition of providing consumers a variety of style options by including multiple colored laces with each pair of basketball shoes. The APL “Shock Therapy” comes with black, blue and lightning laces as a striking complement to the dark upper and vibrant accents. 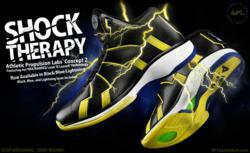 The APL Concept 2 is a state-of-the-art basketball shoe providing maximum versatility for team play and recreational use. The Concept 2 contains APL’s revolutionary, compression spring based Load 'N Launch® technology, Banned By The NBA, and designed to instantly increase a player’s vertical leap. * The Load ‘N Launch technology is complimented by a unique, 4-layer insole engineered to work with the high-performance sockliner and internal shank plate. The APL Concept 2 Basketball Shoe in Black/Blue/Lightning and features an innovative, high definition synthetic upper material, which conforms to the player’s foot using minimal seams and stitch lines to provide superior comfort and maximum performance. With its unique construction, the APL Concept 2 fits completely true-to-size and provides the secure feeling of a basketball shoe that is designed to perform at the highest level of competition. The upper materials are a combination of the finest synthetics, microfiber mesh and special anti-microbial linings to keep the foot comfortable and performing at the maximum level throughout extended periods of play. 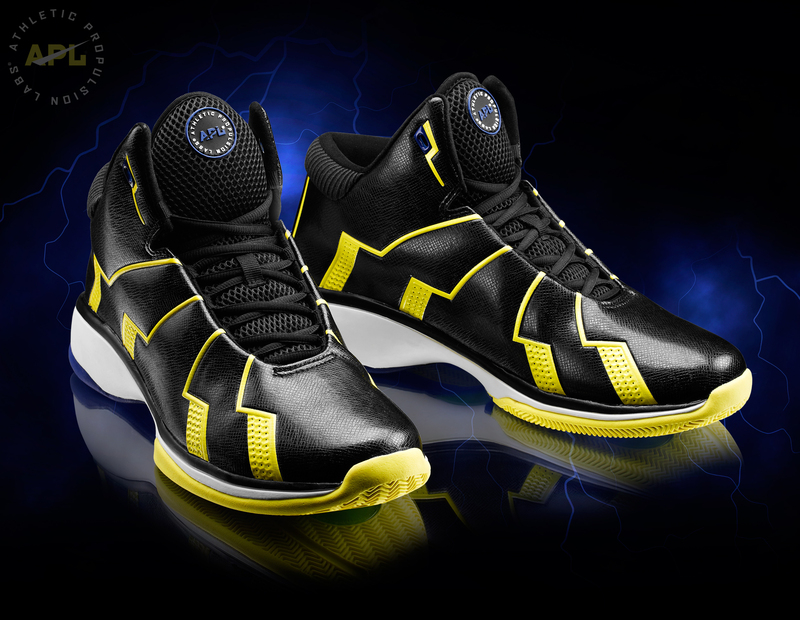 The Concept 2 basketball shoe in Black/Blue/Lightning sells for $175.00 exclusively online at http://www.AthleticPropulsionLabs.com. Athletic Propulsion Labs was founded in Los Angeles, California by twin brothers Adam and Ryan Goldston, two former University of Southern California basketball players. The company is dedicated to the creation of world-class, breakthrough technology that significantly enhances the performance of athletes in a variety of sports. 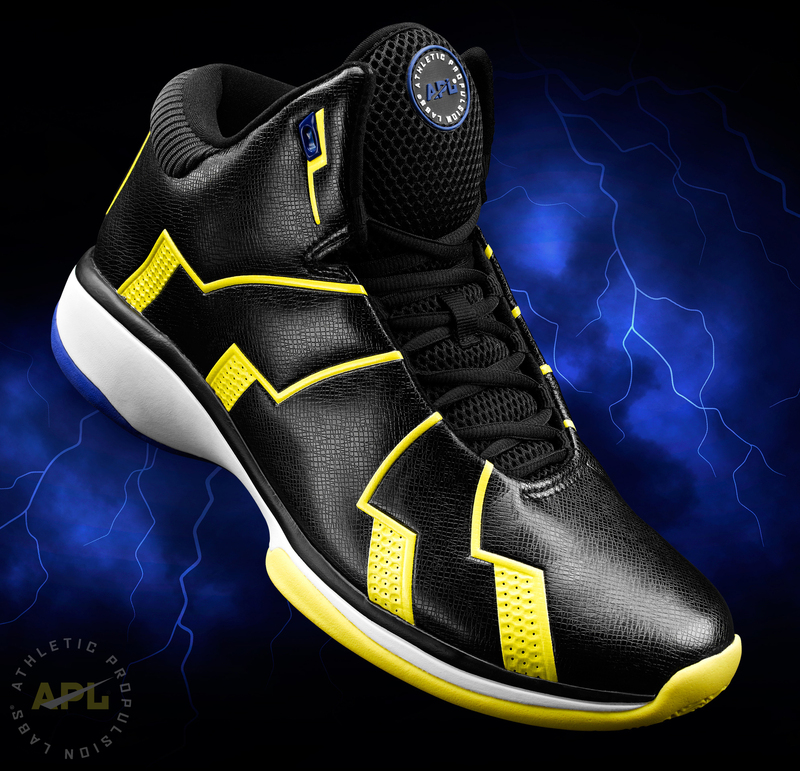 All APL basketball shoes are available exclusively at http://www.AthleticPropulsionLabs.com and feature the revolutionary Load ‘N Launch® Technology. The patent-pending Load ‘N Launch® device is implanted in a cavity in the forefoot of the shoe and serves as a “launch pad” by taking the energy exerted by the player and increasing lift with the aid of an intricate, spring-based propulsion system designed to increase vertical leap up to 3.5 inches based upon athletic ability and physical conditioning of the individual*. 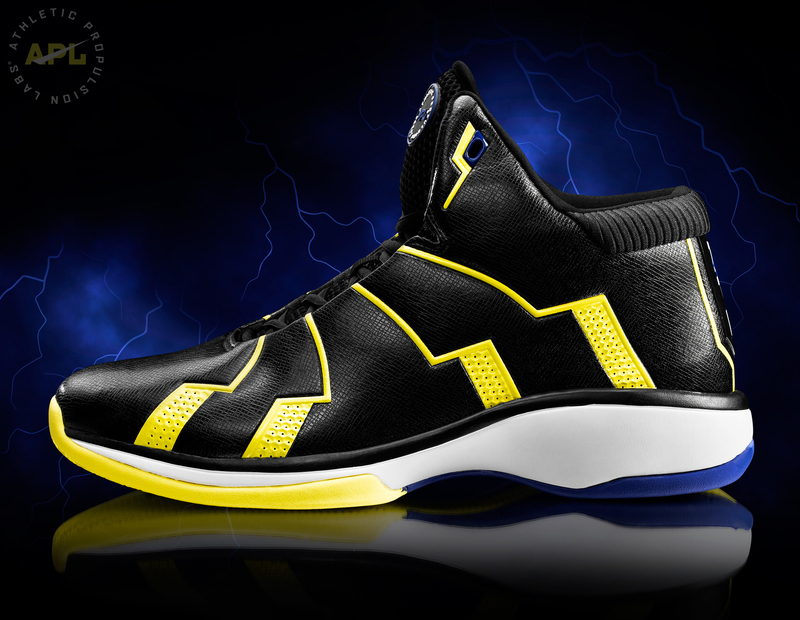 The APL Concept 1 basketball shoes were introduced on March 24, 2010. 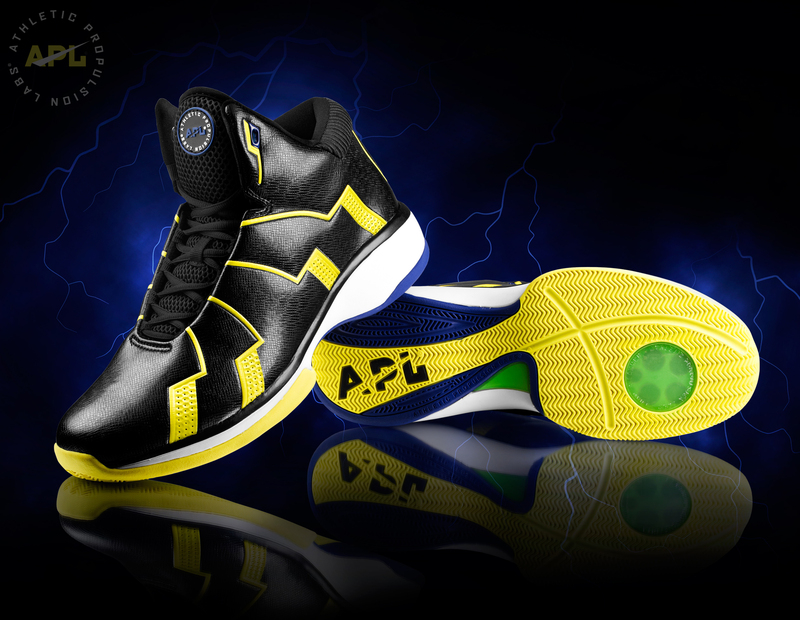 The NBA ban of the APL® Concept 1 shoes occurred on October 19, 2010 and marked the first time in the 64-year history of the NBA that a shoe was banned because it provided an “undue competitive advantage”.